The greatest threat to IO-Riek isn't JCE, Malong or President Kiir. 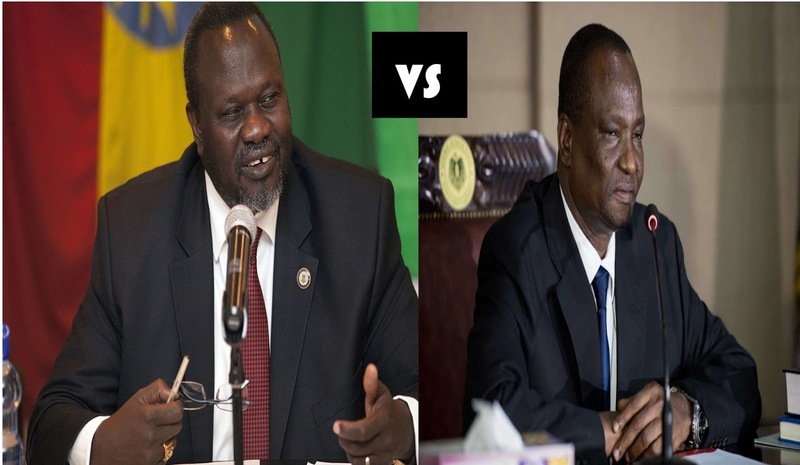 The greatest threat is Taban Deng Gai and his IO faction in Juba. Taban has been plotting to oust Riek Machar since they started the rebellion. He's now succeeded in ousting Riek Machar and his next step is the complete destruction of IO-Riek and the eventual disempowerment of JCE and President Kiir. Taban has his eyes on the prize: PRESIDENCY. JCE will soon clash with Taban once they realize that he's no political friend but a fiendish political schemer. Taban managed Itang Refugee camp in late 80s and earlier 90s in Ethiopia like a 'city.' Even Dr. John Garang was amazed by Taban's abilities. Undermine Taban at your own risk! Believe me, Riek Machar has many fine ideas but he has no idea how to implement them. While I know that IO-Riek supporters now despise Taban with all their elements, they have to realize that he has a platform and resources to further manipulate things against Riek Machar. Taban is more of a mobilizer and pragmatist than Riek. Riek is a populist and that tends to frustrate decision-making and makes implementation of his ideals tricky. Taban is a go-getter. He focuses first on his ideals before he turns his mind to what the populace wants. Taban prioritizes his wins. Riek wants to win ALL at the same time. Taban knows who his political friends and allies are and knows how to manipulate his skeptics. Riek thinks his ideas can automatically win friends. He believes in his truth so much so that he forgets that 'convincing' others is important. As Riek recovers, it's high time IO-Riek supporters realize the bitter reality of things as they stand. IO-Riek has no central, functioning leadership or organized forces. The collection of IO-Riek-affiliated forces are too disorganized to do anything. They neither have material nor moral support. - Where's IO-Riek headquartered and what are they doing? - Where are those of Gatwech Dual and CDR? While this doesn't mean that IG and IO-Taban have won, it still means that the odds are stacked badly against IO-Riek.